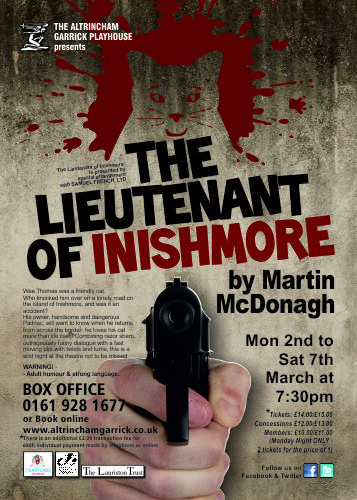 Home» Garrick News » 5 Stars for The Lieutenant! 5 Stars for The Lieutenant! 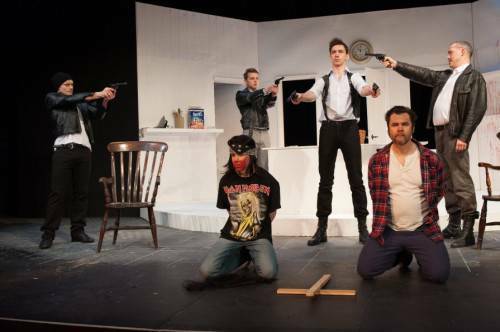 I’m delighted to announce the ‘The Lieutenant of Inishmore’ (which opened last night to a FULL HOUSE) has received a 5 STAR review. To read the review on our website, please use the link HERE?and scroll down the page. You will also find more rehearsal & production photos there as well.